We aim to be a welcoming church at the heart of our community. To allow space for the gifts of all people to develop, in order to respond to God&apos;s love. To reach out to all people at their point of need. Welcome to the Rose Hill Methodist Church website. Whether you live in Oxford or are visiting the area, we would love to meet you, check out our services. To find your way around use the menu on the left. Check out our events guide for details of forthcoming events and services. Our congregation includes people who come from many different backgrounds. Across the full range of our activities, our central purpose is to help everyone to learn to know God better through Jesus Christ. To help each other in our daily lives, to support each other through the good experiences and the bad. To provide a space for all to share God's Love. 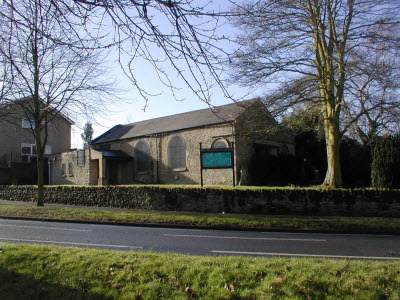 We&apos;re affectionately known as the "Church on The Hill" and there has been a Methodist Church on Rose Hill since 1835. Society has changed since then but the message of God&apos;s love for the world is as relevant as ever and that&apos;s why the congregation gathers for worship each week and seeks to serve the local community. Rose Hill Methodist Church is situated on the main road towards Rose Hill. It is easily accessible from the city centre via public transport or there is a lovely cycle along the River Thames through Iffley Village and on to Rose Hill. If you have a prayer request and are not able to get along to the prayer breakfast then just let us know and we&apos;ll include your request in our meeting. If you would like more information about the Church or the services and events we hold, then please get in touch with us. Please come and join us we guarantee you a very warm welcome!